Revenue in the Control and Connectivity segment amounts to US$13,877m in 2019. Revenue is expected to show an annual growth rate (CAGR 2019-2023) of 22.1%, resulting in a market volume of US$30,796m by 2023. Household penetration is 5.3% in 2019 and is expected to hit 14.3% by 2023. 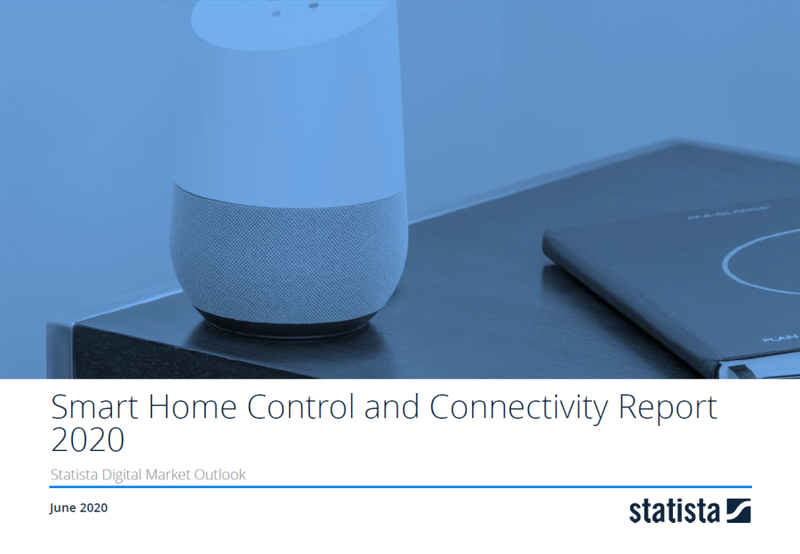 The average revenue per Smart Home in the Control and Connectivity segment currently amounts to US$140.89. Reading Support Revenue in the Control and Connectivity segment amounts to US$13,877m in 2019. Reading Support The Control and Connectivity segment is expected to show a revenue growth of 30.1% in 2020. Reading Support In the Control and Connectivity segment, the number of active households is expected to amount to 276.5m by 2023. Reading Support Household penetration in the Control and Connectivity segment is at 5.3% in 2019. Reading Support The average revenue per active household in the Control and Connectivity segment amounts to US$140.89 in 2019. Reading Support In the year 2017 a share of 34.7% of users is 25-34 years old. Reading Support In the year 2017 a share of 57.8% of users is male. Reading Support In the year 2017 a share of 44.2% of users is in the high income group.